On October 1, 1979 — 31 years ago today — Dr. Carlton Oscar Wittlinger suffered a sudden and massive heart attack and died. At the time of his death, Wittlinger had just finished delivering a chapel address to the students at Messiah College, the educational institution to which he had dedicated more than 35 years of his professional life. Today, Wittlinger is best remembered as the author of Quest for Piety and Obedience, the definitive history of the Brethren in Christ Church. At Messiah College — where he for many years served as academic dean, professor of history, and archivist for the Brethren in Christ Church — Wittlinger is remembered through an annual chapel series on Brethren in Christ distinctives (like peace, holiness, and service) and through a scholarship program administered by the Sider Institute for Anabaptist, Pietist, and Wesleyan Studies. On the anniversary of his unexpected passing, the search for piety and obedience celebrates the many contributions that Dr. Wittlinger made to the study of the Brethren in Christ Church. 1. J. Norman Hostetter, “Carlton Oscar Wittlinger (1917-1979),” in E. Morris Sider, ed., Embracing Scholarship, Piety, and Obedience (Grantham, Pa.: Brethren in Christ Historical Society, 2009), p. 105. 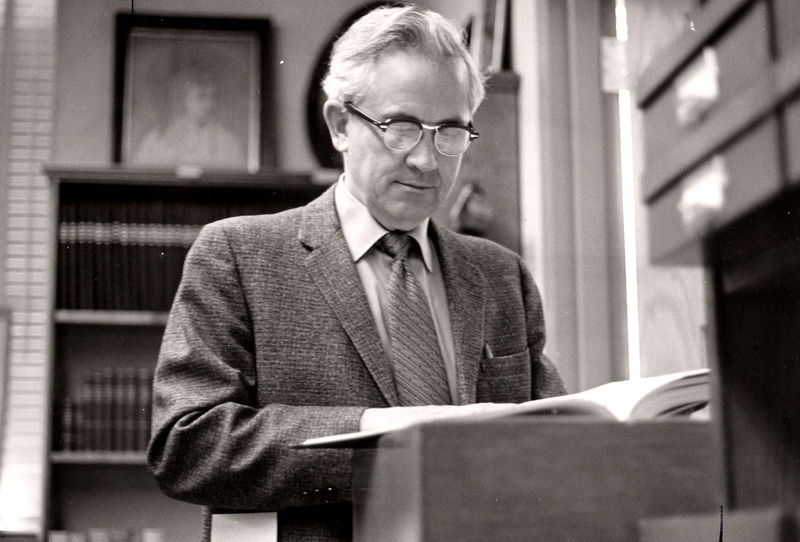 Hearing about Kreider’s material, Wittlinger invited Kreider to speak at Messiah College. Kreider found himself likewise “run out.” He commented that if it hadn’t been for Wittlinger and a “history faculty who he couldn’t remember the name of,”I would have been in trouble.” Note: I suggested Morris Sider, but the name did not trigger a memory. After relaying his experience at Messiah College, he noted how much he appreciated what he perceives as a change in perspective at Messiah College. I found the story surprising, but possibly representative of the conservative regionalism affecting the history of both denominations (Church of the Brethren & Brethren in Christ) and colleges (Elizabethtown College & Messiah College). I would be interested in learning more about how Wittlinger (and others) advocated and taught peacemaking at Messiah College. May make an interesting comparison to Kreider and Gene Clemens at Elizabethtown College. *In response to the speech, Kreider was subjected to a faculty petition to force him out of his professorship, a colleague interrupting his class, a student being pulled from the college by his father, called “Communist,” various letters addressed to “comrade,” being hung in effigy. * For a brief article on the incident read “Elizabethtown College: The First Hundred Years.” David C. Downing, Managing Editor. Manheim, PA: Stiegel Printing Inc., 1999. Dr. Wittlinger was a mentor to me while I was in college and became a good friend in the years between my graduation and his untimely death. I credit him with helping me through a particularly rough patch when I was seriously questioning faith. He was never judgmental, but honestly shared his own faith struggles. Interesting episode Tom describes re: Ken Kreider. Even though I was probably in that chapel in 1965, I don’t remember it at all. Perhaps anti-Vietnam War sentiment happened a few years later, because by the time I graduated in 1968, there were quite a few of us who would not have supported the war. Dr. Wittlinger was famed for giving a lecture (every semester?) on “Why I am a Democrat.” I would LOVE to see a printed copy of this lecture. Does anyone have one? I wonder if the negative reaction to Ken Kreider was from the students, or from the alumni and parents. I remember some negative reaction by conservative supporters and alumni to some of the more liberal education at Upland College. I also remember an incident at a Mennonite Brethren College that I attended. A Congressman at a chapel service about Vietnam used the phrase, “My country right or wrong”. That brought a strong negative reaction from the students.